After six months of preparation, the Tangram team has completed one of its finest jobs yet. Tangram took over the Cipriani building across from Grand Central on 42nd street to produce Patek Philippe's Grand Exhibition of watches which is open to the public with free admission from July 13th-23rd 2017. The architecture provided by the Cipriani building itself and the sophistication and elegance granted by the design Tangram establishment created a unique and exceptional look. The Art of Watches Grand Exhibition features 10 specially-themed rooms throughout the two-story space, showcasing over 450 current, historic, and unique timepieces. Patek Philippe's exquisite collection of watches throughout the various show rooms delivers quite the experience for the audience, watch enthusiasts or not. Among the themed rooms is the U.S. historic room, which houses a collection of 27 noteworthy timepieces, one of which is a quartz-powered desk clock that belonged to John F. Kennedy, sourced from the John F. Kennedy Presidential Library and Museum in Boston, MA (Shown above). 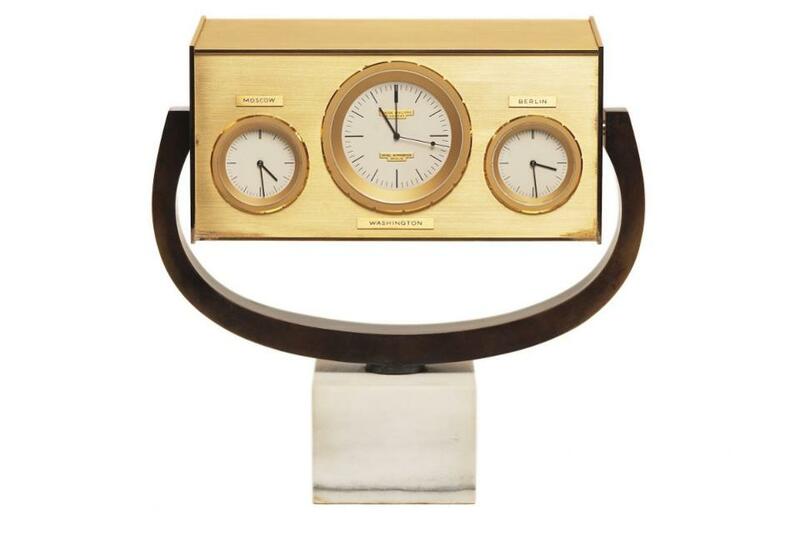 The clock was commissioned by a German retailer and was made by Patek Philippe himself. It was presented to President Kennedy by the Mayor of West Berlin in June 1963 during Kennedy's trip there where give his famed speech, "Ich bin ein Berliner". The timepieces pictured above can be found in the Museum Room, a space modeled after the Patek Philippe Museum in Geneva. This room is divided into two sections. The Antique Collection has pieces dating back to 1530 and features a selection of the greatest historic timepieces, including some of the earliest watches ever made. The Patek Philippe section highlights historic timepieces from the brand, dating back to our inception in 1839.